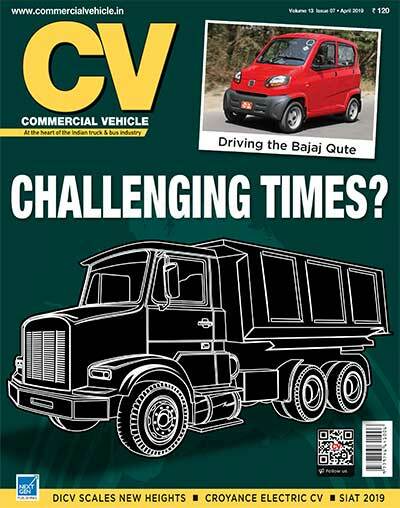 VE Commercial Vehicles has introduced new trucks. The Indian e-commerce segment is turning out to be a hot investment opportunity. Online retail business in India is estimated to grow over 1,200 per cent to USD 200 billion (Rs.13,30,550 crore) by 2026, up from USD 15 billion in 2016, according to a recent report by financial services firm Morgan Stanley. As per the study, online retail will account for 12 per cent of India’s overall retail market by 2026. Currently, it is estimated to be close to a mere three per cent. With e-commerce and express logistics being the primary growth drivers, the voluminous segment industry in India is claimed to be growing at an exponential rate of 50 per cent every year. 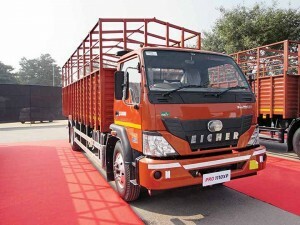 Anticipating such an explosive growth perhaps, Volvo Eicher Commercial Vehicles (VECV), to have a significant presence in the segment, has introduced new trucks. These were unveiled at the ‘Eicher Pro Biz expo’ the company organised. Aimed at different stakeholders of the e-commerce and logistics industry, the new trucks are specially engineered for the e-commerce segment. 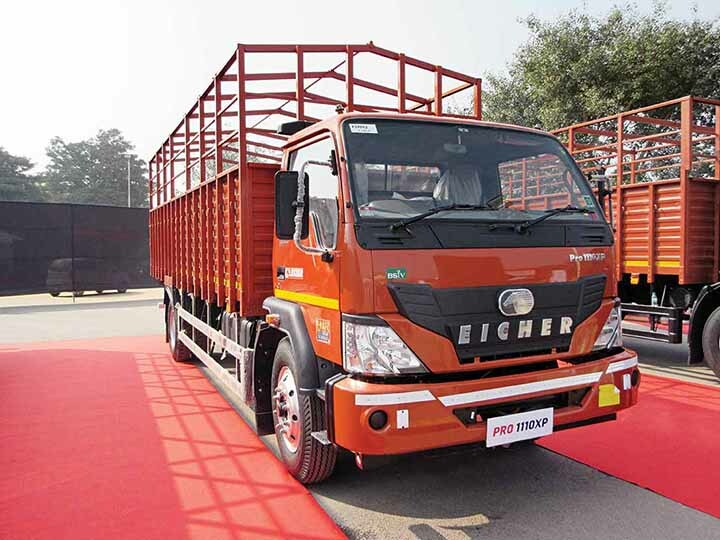 Out of the 14 trucks Eicher displayed, the new trucks, priced between Rs.16.26 lakh and Rs.27.4 lakh, these included five new variants Eicher Pro 1000 and Eicher Pro 3000 series variants. To address the sectoral demands across long haul, short haul and last mile delivery, the trucks, to be precise, are Eicher Pro 1110, Pro 1110XP, Pro 3012, Pro 3014, and Pro 3015. 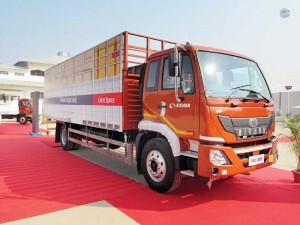 Expected to help VECV, which registered a cumulative growth of 50 per cent in December 2017, and recorded a total sale of 5955 units in December 2017 against 3969 units in the December 2016, to achieve greater heights, the five new trucks are light and medium-duty in nature. 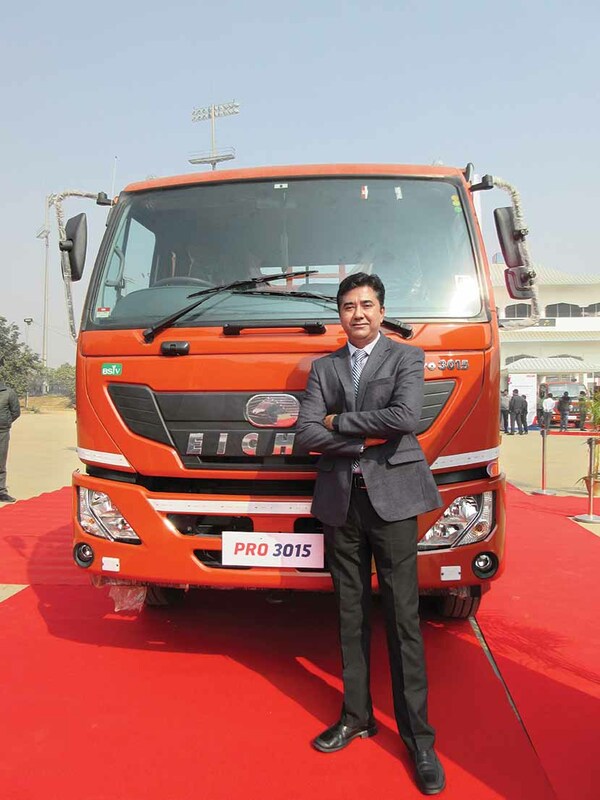 Expressed Vishal Mathur, Vice President, Sales (LMD trucks), VECV, that transporters are keen to replenish their fleet backed by a good monsoon boosting rural demand. “It bodes well for organised players that are entering the e-commerce space. 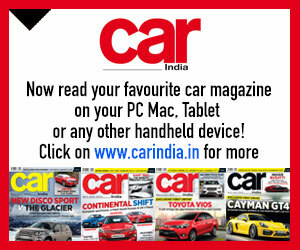 The segment could play a major role in shaping the overall commercial vehicle industry,” mentioned Mathur. 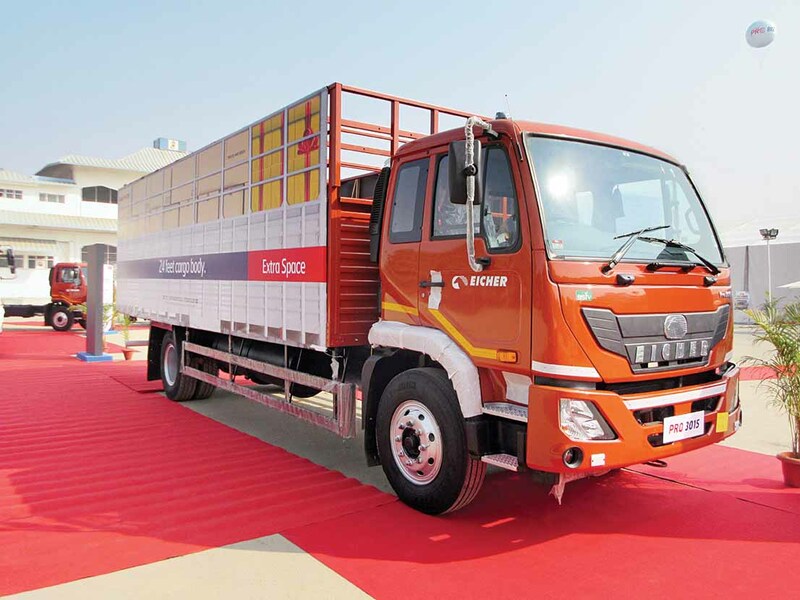 The growth of e-commerce in India has the potential to outpace its growth in many other countries, the five new trucks that VECV has introduced have been developed to address the dynamic needs of end consumers. With faster delivery and reduced turn around times a pre-requisite, the company has fitted the Pro 1110 and Pro 1110XP with a 24 feet cargo body. Powerful, and having the longest service interval of 50,000 km, the trucks, according to Mathur offer fully built container solutions. Operators can start using the vehicle from day one rather than wait for the body to be built. Fitted with the E494 (135 hp, common-rail, 3.8-litre diesel)series engine that comes equipped with Volvo EMS 3.0, the Pro 3000 series truck will be made available with a sleeper cab and advanced technology options like Intelligent Driver Information System (IDIS), fuel coach, cruise control, domex chassis and parabolic suspensions. 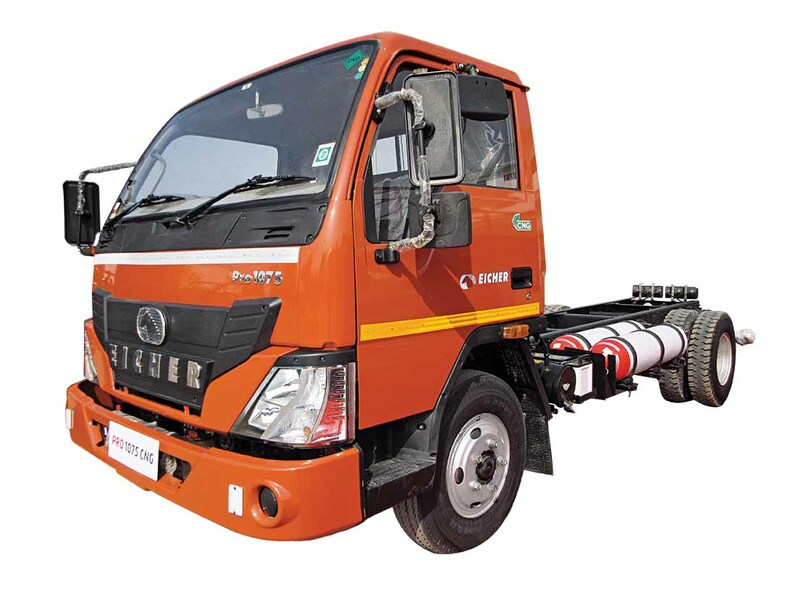 Speaking of CNG vehicles in the five to 10.7-tonne GVW range, Shyam Maller, Executive Vice President, LMD Trucks, explained that they are specially designed to cater to the needs of customers in Delhi NCR. “These vehicles have been designed especially for customers on the lookout for a wider load body. For instance, the carriage of electronics and apparel,” he stated. Citing Haryana and Delhi as the key emerging markets for organised logistics, Maller also drew attention upon the Total Industry Volumes (TIV) witnessing a 40 per cent surge in the respective regions. long-distance logistics industry. With the government looking to enforce a regulatory discipline through a slew of changes besides the E-way bill, OEMs and transporters too have no choice but to fall in line and comply to realise the true potential of the E-commerce segment. “Regulations need to be met. Even though the industry did face hiccups during the initial days of BSIV implementation and GST rollout, things are yet to streamline with the industry expected to eventually find change beneficial,” he concluded. 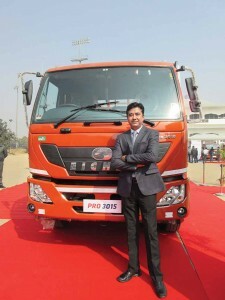 Vishal Mathur, Vice President Sales, Light and Medium Duty Trucks, Eicher trucks and buses. Q. How has the LMD segment fared for Eicher trucks and buses? A. The LCV industry was not picking up due to various factors like the change of emission norms, and the rollout of GST. As things are settling down, more and more transporters are coming in to buy new vehicles. The rural demand was further boosted by a good monsoon across major parts of the country. Good rural demand was followed by a good festive demand. All these factors collectively boosted demand, and the industry has come out of the slump it witnessed six months back. It is doing well, and December 2017 was one of the best months for the industry. It was one of the best months for Eicher too. In some pockets, we exceeded the industry average. 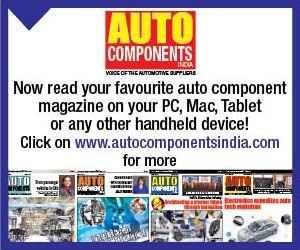 In Haryana for example, it is a base for a large number of auto ancillaries. In Delhi, the demand for CNG trucks is on the rise. 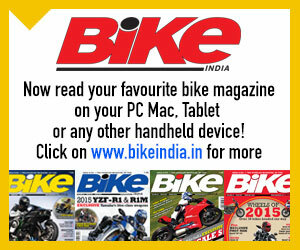 It is largely because of a greater awareness to facilitate cleaner air. With new CNG pumps opening up, the demand for CNG trucks is expected to rise. Q. How are you looking at e-commerce? A. With the entry of established players in the e-commerce segment, buying has been very strong. It is a fast-rising segment today. India is expected to outperform many countries as far as the of e-commerce industry is concerned. With more and more companies establishing their footprint in the country, various transporters have shared their experiences about the end customer turning dynamic. Customers want faster deliveries and faster turn around time. With the help of our new range, we are increasing our thrust in the market. With our 24 feet cargo body, we are giving more space. We are also giving them fully built container solutions so that the transporters can start using the vehicle from day one rather than to wait for the body to be built. The trucks that we offer are equipped with modern technologies like fuel coach and cruise control. Such inclusions directly correlate to the e-commerce business. Q. How do you look at regulations, GST and stricter implementation of CMVR? A. It’s improving the environment. With GST, a lot of things are easing out, and transporters are finding it beneficial to move the goods directly from one place to another, helping the parties involved. Organised players are looking forward to the e-way bill. There is a higher degree of awareness of new regulations. 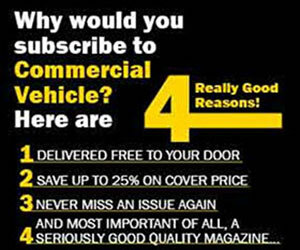 They can leverage the benefits of higher fuel efficiency and a larger cargo body. It would ultimately lead to a lower total cost of ownership. As transporters figure out the taxation part, I believe most of them are happy with reforms taking place. They are benefiting from the changes.